It’s true. There is a way to workout that is even more intense than low impact martial arts. In fact, there’s a more intense approach to working out that even includes adding cross training. It’s called MAX Fitness and it has quickly become the most popular fitness boot camp in Seattle without even being just boot camp. Boot camp workout – You get the elements of great boot camp training infused with martial arts that is taught by real martial arts instructors. In the world of fitness our MAX Fitness training classes are the infusion of the best of everything you can do for your body. You would be hard pressed to find another workout that offers you the results our boot camp workout does. So push your limits but in a safe environment. The other difference you will notice at our studio is that everyone checks their egos at the door. Whether it’s a student or an instructor, once you come through our doors we are all the same and all equal. That’s because we also all have one common goal – to get in shape and be healthy. Letting over inflated egos get in the way is only damaging to students and to instructors. Our instructors wouldn’t be able to offer the best training possible if they were all about ego. Of course our students wouldn’t be able to get the best results possible if they were more concerned with their ego than their workout. If you are tired of gym atmospheres where everyone seems in competition with each other, you have finally found the right place to join. Come and experience what it is like to focus on just an intense workout. Share in an environment where everyone wants to be healthy and also wants you to do the same. Once you can focus on just the fitness and not the pretentious attitude you will be amazed by how much more you can accomplish. So What can you get From the Premier Fitness Boot Camp in Seattle? More than likely all that is standing between you and your ultimate body and life is finding the right workout. If you want to find a challenge that offers results and does it all without ego, then our MAX Fitness Boot Camp in Seattle is perfect for you. Come by and see for yourself. 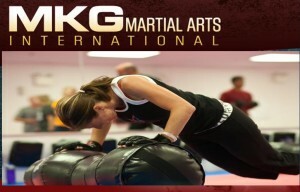 This entry was posted in Martial Arts and tagged crosstraining, Fitness Kickboxing by mkgmaxfitness. Bookmark the permalink.